Finola Hughes is an English actress who began her career in the 80s. From then on, she has appeared in more than 50 productions cutting across TV, films, and voice acting. Also a TV host, a writer, and dancer, Hughes is more popular for her role in the ABC soap operas General Hospital as Anne Devane and All My Children. Find out more about the family life of the actress below in addition to her career and how much she has made thereof. Finola Hughes was born in London on 29 October 1959 to a father of Irish descent and a mother of Italian descent. Without giving many details on how she was brought up, the fashionable actress revealed that since she was a child, she had loved fashion and so she would always go shopping with her mom whom she was very close to. In 1985, Finola however, lost her father to a heart attack. Hughes had her education at the Arts Educational School and when she was done, she kicked off her career at the Northern Ballet Company. Her first role as an actress came in 1980 when she got a role as a dancer in The Apple which was then followed in 1981 by her appearance in Clash of the Titans as a dancer again. In 1982 she appeared as Nadia Gargarin in Nutcracker followed by Staying Alive in 1983 as Laura. This was the role through which she got her only 2 Golden Raspberry Award nominations for Worst Supporting Actress and Worst New Star. From then on, Finola Hughes has gone on to appear in many movies including Generation X (1996), Prison of Secrets (1997), voice acting for Scooby-Doo! Legend of the Phantosaur (2011), and Dance-Off (2014). She produced and directed Byrd and the Bees (2017). More than her movie roles, Finola became even more popular with TV shows such as L.A. Law (1987), General Hospital which is the longest-running American soap opera running since 1985 although with breaks in between, and Blossom (1993 to 1995). From 1999 to 2003 she was on All My Children and from 2014 to 2015 she was on Granite Flats. The actress has achieved a lot in her career. It is thanks to this that she has been recognized with a number of nominations and awards including two Soap Opera Digest Award for General Hospital and one for All My Children, a Daytime Emmy Award for General Hospital, and she also got the LA Femme Filmmaker Award for Best Feature Director for The Bet in 2013. Finola Hughes has made a name for herself as an actress, having touched on almost everything from acting to voice acting and even directing. With that, she has come to amass a net worth which is estimated at $8 million. Though a producer, she did not net in her fortune from the entertainment industry as she is also an entrepreneur. The actress is also involved in writing and fashion which is something that she decided to pursue after she left All My Children. All these, have contributed to give her additional streams of income. In 1992, Finola Hughes got married to Russell Young and since then, they have remained. Just like his wife, Young was also born in 1959. He is an artist whose works which are drawn from popular culture have attracted so many celebrities including Jennifer Aniston who bought a painting from him for her then-husband, Brad Pitt as a 40th birthday present. Kanye West and Elizabeth Taylor are others among the list of celebs who have visited his studio and bought his artworks. Fiona and Russell’s union has been blessed with three kids. Their first child Dylan Joseph was born on 9th November 2000. Their second child, Cash Justice whom they adopted was born in 2005 and then they also adopted a girl Sadie Beatrice who was born in December 2007. Prior to 9/11, the family lived in New York but after the attack, they relocated to California. Following the wildfire that swept through southern California in 2018, the family was forced to evacuate. Fortunately for them, they returned home after everything had settled, although there were some minor repair works that the house which was damaged by smoke needed. 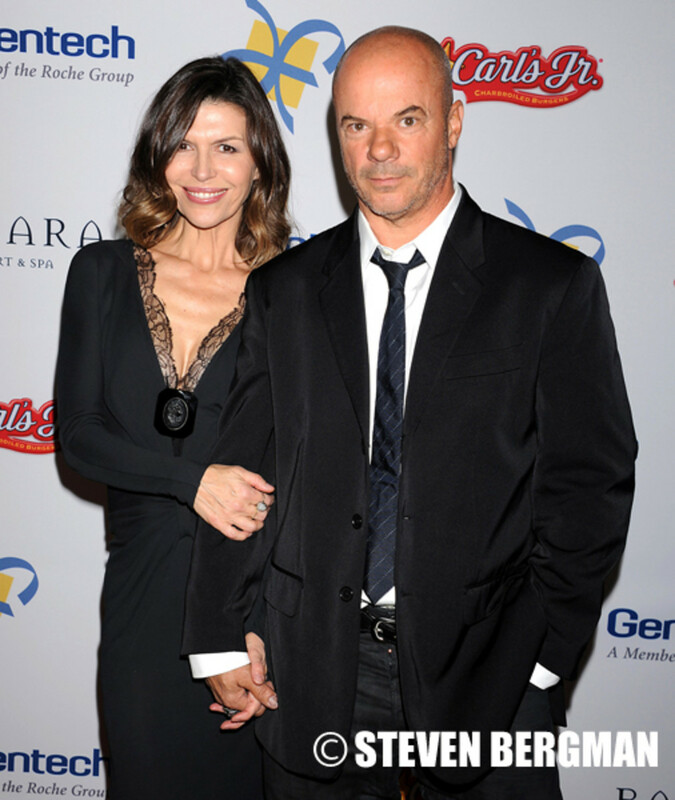 Finola Hughes and her husband have been involved in charity activities over the years. In 2016, they were awarded the Spirit of Elysium award Vivienne Westwood and Andreas Kronthaler because of their involvement in the use of arts as a means of bringing about social change.